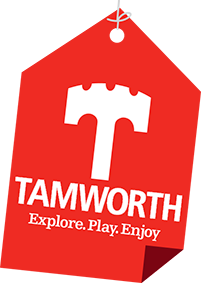 Bands, singers, pubs, clubs and organisations are invited to advertise their events free of charge on the Visit Tamworth website and social media pages. The website is dedicated to the promotion of information about Tamworth following an exciting face-lift last year, launched by Tamworth Borough Council. The site is regularly updated to include current news and visitor information; including everything you want to know about Tamworth’s heritage, local events, accommodation, local food and drink, places to visit, plus much more. The site is ideal for any businesses or companies organising an event, to advertise for free at www.visittamworth.co.uk by submitting an online form. It hosts an up-to-date ‘What’s On’ section, allowing residents, families and tourists to view what new events are coming up in the area. Check out the What’s On pages to see what the season has in store, including half-term holiday fun at Tamworth’s award winning castle; an ‘egg-stra’ special egg hunt this Easter; annual outdoor events such as St George’s Day celebrations in the stunning castle grounds; or find out more about Tamworth’s 14 nature reserves and local parks, which hold seasonal events ideal for family days-out. The website can be accessed from mobile devices and also via a Facebook page which shares the latest promotions and pictures. Cllr John Chesworth, Cabinet member for Culture and Operational Services, said: “The Visit Tamworth website is user-friendly, quick and responsive, offering a wide range of information about our amazing town and surrounding area. Businesses, clubs, groups and organisations can submit an online form and advertise their up and coming news and events free of charge.